with your order of satin pillow cases, via the South African Post Office. Why Buy A Satin Pillow Case? Why is satin recommended by plastic surgeons, hair stylist and top beauty experts? Helps skin from ageing: As we age we lose the elasticity in our skin. Pressing your face on a cotton pillow case all night can cause us to wake up with creases on our skin. Eventually the creases may become permanent. A cotton pillow case draws moisture from your hair and skin while you sleep. A satin pillow case allows your face to move across the pillow so there is no tension or stress on your skin. They are also warm in the winter and cool in the summer. Avoid split ends: Your hair strands split because they have dried out. Don’t sleep on anything other than satin pillow cases, other materials absorb moisture from your hair strands. Cancer treatment and hair loss: It’s unfortunate that hair follicles are so adversely affected by chemotherapy and radiation. When hair is either falling out during treatment, or begins to grow back, after treatment has ended, those hair follicles are extremely fragile and susceptible to breakage. A satin pillow case, because of its smooth, soft surface, allows those delicate hair follicles to gently glide across the surface of the pillow case. This enables the new hair to retain moisture, promoting growth. Avoid bedhead hair: You can avoid waking up with bed head hair by sleeping on a satin pillow case. Satin fabric lets your hair slide gently across it. Cotton causes more friction and disrupts the hair cuticles. In our fast paced world it is easy to forget about ourselves and we tend to neglect our health and comfort while focusing on the daily grind. 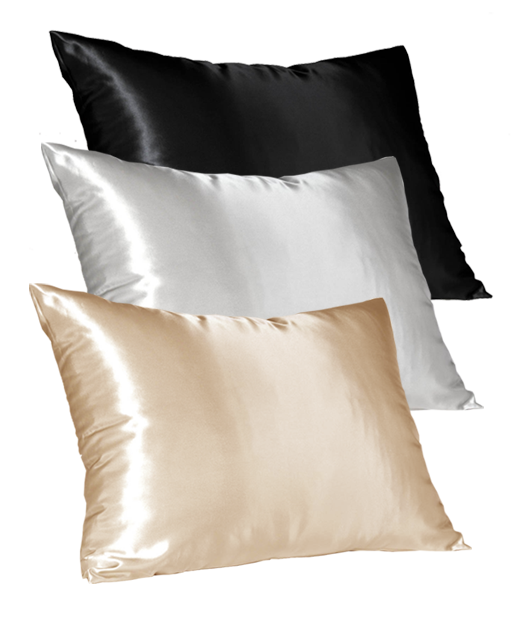 Our pillowcases are made from royal satin and fit a standard pillow (46cm x 69cm). We are a proudly South African product. Postage via the South African Post Office is for free. We also use PostNet and G-Xpress Couriers as an alternative delivery method. 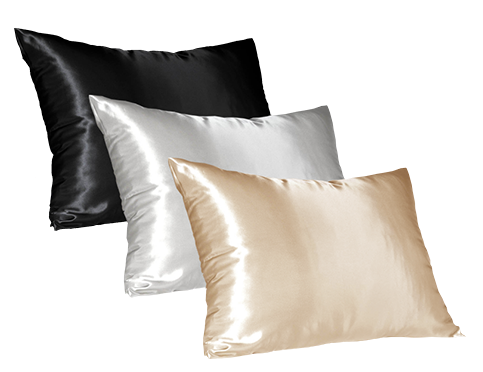 Buy your satin pillow case now for only R189.00 per satin pillow case. I have tried a few satin and silk pillowcases, and none can compare with Tania’s. Not only are they each beautifully packaged (making them ideal as gifts), but Tania told me that she had searched far and wide for a top quality satin. After sleeping on these beautiful pillowslips, I believe her. Thank you so much for your quick reply. I’ve been meaning to search the internet for satin pillowcases for a while now and was pleasantly surprised at how quickly I got what I was looking for; not to mention your simple and straightforward ordering process and the great cause you support!